Enjoy Entrepreneur on your terms. For just $10.99, get 1-year of the print edition delivered straight to your mailbox and 1-year instant access to the digital edition on your mobile device. No matter where you are, whether at home or on the go with your favorite device, discover the inspiration, solutions and ideas you need to succeed as an entrepreneur. Meet entrepreneurs ambitiously disrupting the way we live, work and do business. Discover new ideas amid detailed coverage of emerging trends and opportunities. Gain practical solutions and tools for greater productivity and success. Enjoy every issue of Entrepreneur with a digital subscription for just $9.99! You'll get 1-year of instant access on your mobile device. Get Tips and Tricks from Entrepreneurs who have achieved success. Enjoy convenient access anytime, anywhere on your phone or tablet. Read the latest issue on your mobile device before print hits the newsstand! Be inspired with new solutions, ideas, emerging trends and real-life disruptions from your entrepreneurial peers—every month! Get a year of inspiration with a 1-year print subscription of Entrepreneur for just $9.99! Every issue is delivered right to your mailbox. Want to Give Entrepreneur as a Gift? Click here. Additional US$30 for shipping outside the US. All rates are in US dollars. Additional US$20 for shipping to Canada. All rates are in US dollars. Yes, I'd like to receive more information from Entrepreneur. App subscriptions available on iPad, iPhone and Android devices. 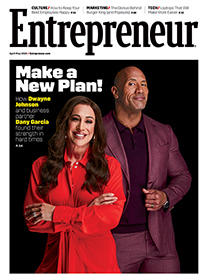 Entrepreneur's cover price is $5.99 an issue and publishes monthly, except when combined issues are published that count as two issues as indicated on the issue's cover. Your first issue arrives in 6-9 weeks. Entrepreneur's digital single-copy price is $5.99 an issue and publishes monthly, except when combined issues are published that count as two issues as indicated on the issue's cover. Sales tax will be charged where applicable. All rates are in US dollars.